In 1868 Tilden began his rise to political prominence. He presided over the New York State Democratic Committee and led a reform movement that collected evidence and prosecuted the notorious Tweed Ring, the corrupt Democratic political machine that controlled and defrauded New York City. Tilden's reforms led to his election as governor of New York in 1874. He continued to enhance his reputation as reformer when he exposed the Canal Ring, a conspiracy of politicians and contractors who had defrauded the state of money intended to pay for the construction of canals. In 1876, as a result of his accomplishments in New York, Tilden won the Democratic nomination for president and ran against the Republican candidate rutherford b. hayes. The campaign was close and heated. Tilden won a majority of the popular votes, and preliminary returns showed that he had 184 of the 185 electoral votes needed to win. Hayes had 165 electoral votes. The electoral votes for Florida, Louisiana, and South Carolina, however, were in dispute, and the status of one of Oregon's three electors also was in question. 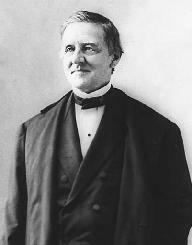 Republicans quickly calculated that if Hayes received every one of the disputed votes, he would win the presidency by a vote of 185 to 184.